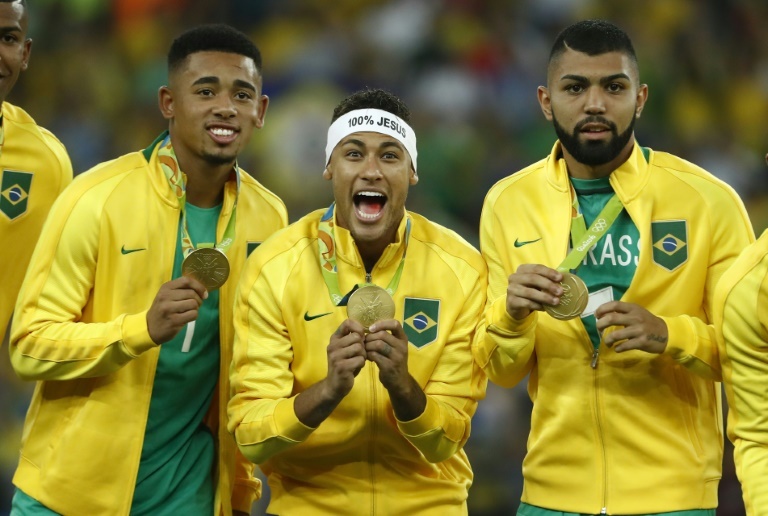 The post Five things we learned from Rio men’s football appeared first on World Soccer Talk. Often looked down upon in Europe, football is a cornerstone of the Olympics for many countries in South America and Africa. Aided by hosts Brazil’s run to a first Olympic gold, a dramatic penalty shootout final win against Germany was played out in front of the biggest crowd of the whole Games as 78,000 crammed into the iconic Maracana. Tellingly, it was also the most treasured medal of an at times troublesome Olympic experience for the hosts. The Games star power was saved by Neymar’s heroic role with a stunning free-kick and the winning penalty in the final. However, in contrast to previous Games when a plethora of big names have enhanced a broadly under-23 tournament, the Barcelona forward’s presence stuck out because he was the biggest name by a huge distance. Even four years ago Neymar was joined by the likes of Luis Suarez, Edison Cavani, Ryan Giggs, Thiago Silva, David de Gea and Juan Mata. With the Games colliding with the start of the European leagues, the vast majority of players even under-23 were blocked by their clubs from representing their country. Reports suggested European champions Portugal were turned back in their approach to 50 players. Making the tournament compulsory at least for under-23s seems like a necessary step for FIFA to take if the prestige of Olympic gold is to be preserved, according to many sporting leaders. There was a Hollywood end for Brazil’s biggest star when Neymar converted the final spot-kick amidst wild scenes of celebration at the Maracana and across Brazil. After a slow start, for which he was much criticised, Neymar came alive when it counted, scoring four times in three knockout games. Moreover, he did so carrying a greater burden of expectation than anyone else at the Games. His coolness under the greatest pressure in the final confirmed his status as the man who will eventually depose Cristiano Ronaldo and Lionel Messi as the best player in the world. They may not have dignified Germany’s near-perfect status in penalty shootouts, but there was plenty of promise from this young German side to suggest the world champions newest generation will continue challenging for major honours. In line with German football’s makeover since the 2006 World Cup, they played on the front foot, scoring 22 goals in just six games. Captain Max Meyer, Julian Brandt and Niklas Suele particularly impressed on Germany’s first appearance at the Games for 28 years. Brazil coach Rogerio Micale was keen to stress “Brazilian football is not dead” following the 7-1 World Cup 2014 humiliation suffered at the hands of Germany. More than just winning gold, Micale restored what he described as Brazil’s “joga bonito” (beautiful football) essence. In contrast to the pragmatism that has seen the national team spiral down under Luiz Felipe Scolari and Dunga in recent years, Micale played four forwards for the last four matches of the Olympics with the talented young trio of Gabriel Jesus, Gabriel Barbosa and Luan joining Neymar.